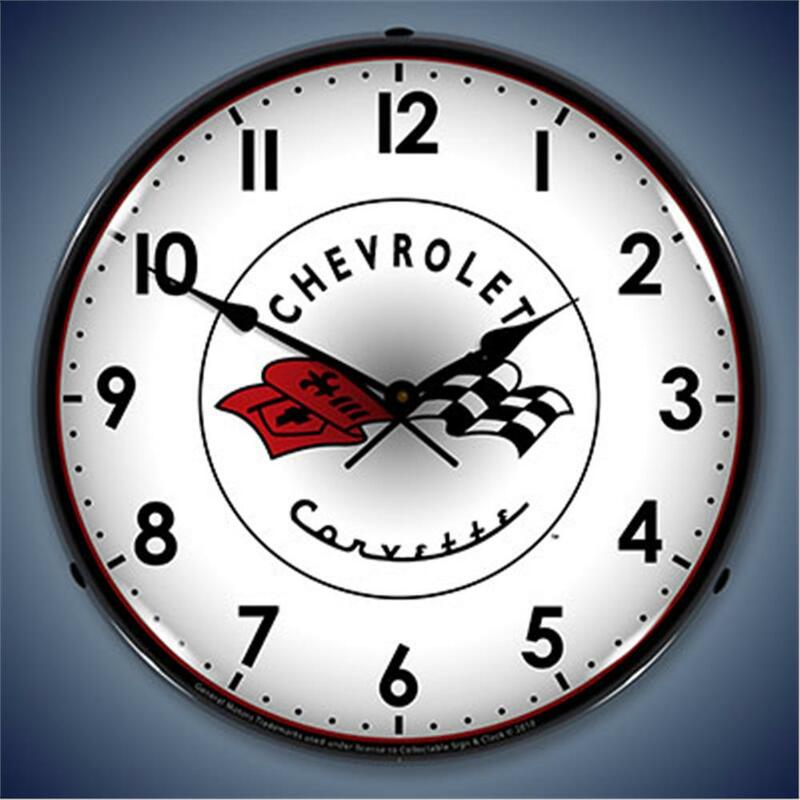 This lighted Retro Corvette Flags "Double Bubble" Clock is a total throwback that will send you down memory lane! This American made timepiece is backlit with a clear Lexan outer lens, measures 14" across and plugs into any 110 outlet. Quartz movement runs on an AA battery (not included) and lighting can be switched on or off via switch on cord.